Chairman and Chief Executive Officer of PACCAR, Inc.
Mr. Mark Pigott, Chairman and Chief Executive Officer of PACCAR Inc, is an international corporate leader and passionate philanthropist whose vibrant enthusiasm, generous financial support, and strategic insight have strengthened the ICCUSA and Albert Schweitzer Leadership for Life educational programs. Mr. Pigott leads a Fortune 150 technology company that specializes in the design, development and production of the world’s leading commercial vehicles, under the brand names, Kenworth, Peterbilt and DAF. The Pigott family has a strong Irish heritage with their roots being in County Kerry and County Cork. The family has a 108-year tradition of supporting global educational excellence. Mark’s unwavering commitment to education is evidenced by the Trinity College Dublin Science Gallery (PACCAR Theater) and several endowed Professorships at Trinity College. Mr. Pigott has been honored for his contributions to education, the arts and social services, with the Knight Commander of the Order of the British Empire (KBE - UK), the Commander of the Order of the Crown (Belgium), the Officer of the Orange-Nassau (Netherlands), and the Knight’s Cross of the Order of Merit (Hungary). Gary McGann is Group Chief Executive Officer of the Smurfit Kappa Group (SKG) which has turnover of in excess of €7.3 billion and employs more than 40,000 employees in almost 350 operations. Before joining the (then) Jefferson Smurfit Group in 1998 he held various executive positions at senior VP or CEO level in Irish industry in both the private and public sector. In 1968 he joined the Comptroller and Auditor General’s office as an auditor. He joined LM Ericsson Limited as Management Accountant in 1978 and later became Group Financial Controller of the Irish companies of LM Ericsson Group. He joined Gilbeys of Ireland Group as Group Finance Director in 1988 and was appointed Chief Executive in late 1991. He was also Chief Executive of their IFSC Company “Grand Met Finance Ireland” which he helped found in 1990. 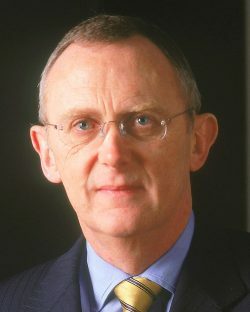 In early 1994, the Irish Government appointed him as Group Chief Executive of Aer Lingus, a position he held until 1998. He joined the Smurfit Group as Chief Financial Officer in August 1998. 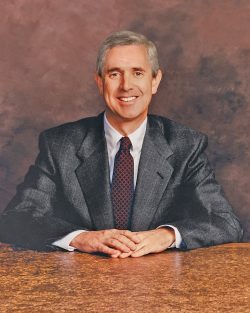 He was appointed President & Chief Operations Officer in December 1999, and was elected to the Group’s Board in January 2000. He was appointed Chief Executive Officer in November 2002. Gary is Chairman of Aon Ireland, is a Director of United Drug plc and IBEC (Irish Business and Employers Confederation), and a member of ERT (European Round Table of Industrialists). Gary obtained a Bachelor of Arts from U.C.D., is a Fellow of the Institute of Certified Accountants, and holds a Masters degree in Management Science. Gary is a member of Las Brisas Golf Club, RIAC, Fitzwilliam Lawn Tennis Club, and The Kildare Hotel & Country Club. He is married to Moira and they have 3 daughters and two granddaughters. He enjoys golf, music and theatre. Colm McLoughlin was born in Ballinasloe, Co. Galway, Ireland in 1943 and is one of five, with two elder brothers and two younger sisters. He attended the village Boy’s National School and Garbally College, where he excelled in sport including hurling and tennis and went on to play rugby for Co. Galway. Colm began his retailing career in London in the 1960’s working for the popular high-street chain of Woolworths, before moving back to Ireland to work for Shannon Duty Free. As General Manager of Shannon Duty Free, Colm was one of a team of ten from Aer Rianta (the Irish Airport Authority) who moved to Dubai in 1983 at the request of the Dubai Government, to set up Dubai Duty Free. Following the successful opening of Dubai Duty Free in 1983, Colm was asked to remain as General Manager of the start-up operation, which in its opening year had a turnover of US$20 million. Colm later became the Managing Director of Dubai Duty Free, which is one of the leading airport retailers in the world with sales turnover of US$1.6 billion in 2012. Employing over 5,700 staff, Dubai Duty Free is widely regarded for having set the benchmark for the duty free industry in the region. In July 2011, Colm was named Executive Vice Chairman of Dubai Duty Free and its subsidiary businesses, which include The Irish Village, The Century Village and the Dubai Duty Free Tennis Stadium, home to the Dubai Duty Free Tennis Championships. Colm’s remit also includes the Jumeirah Creekside Hotel, which is owned and developed by Dubai Duty Free and is managed by the Jumeirah Group. In July 2012, Dubai Duty Free successfully raised a US$1.75 billion loan facility to finance the expansion plans at Dubai International Airport. The facility received strong support from a syndicate of 26 international, regional and local banks. Under Colm’s direction, Dubai Duty Free has become a retailing giant and the recipient of some 250 industry awards. 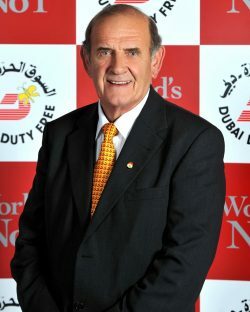 During the course of his career in the duty free industry, Colm himself has been honored with several personal awards including the Frontier 'Lifetime Achievement Award', the 'Galway Millennium Man of the Year', the 'Most Distinguished Employee Award' from the Dubai Government Excellence Awards and the 'Businessman of the Year' from the Middle East Business Awards. In April 2012, Colm was also honoured with the ‘DFNI 25th Anniversary Lifetime Achievement in Duty Free Award’ by Duty Free News International. In October, he was given the ‘Lifetime Achievement Award’ by the Asian Confederation of Businesses held in Dubai at the 2nd Asian Leadership Award. In November, he was also presented with the Esquire Magazine’s ‘Lifetime Achievement Award’ for his outstanding contribution to the travel retail industry. Colm is married to Breeda, and with three adult children and two grandchildren. His son lives in Dubai while his two daughters and grandchildren live in the UK. A single handicap golfer, Colm is the former Captain of the two golf courses in Dubai: the Emirates Golf Club (1995/1996) and the Dubai Creek Golf & Yacht Club (2007). He is the only person to have held both captaincies. He also holds a private pilot’s license for light aircraft. Honourable Kingsley Kemebradigha Kuku is the Special Adviser to the Nigerian President, Dr. Goodluck Ebele Jonathan, on Niger Delta Affairs and Chairman of the Presidential Amnesty Programme. He hails from Arogbo, the traditional headquarters of the Ijaw ethnic nationality in Ondo State. He has a Bachelor’s Degree in English Language and a Master of Science in International Relations and Strategic Studies. He was a student leader and one time National Mobilization Officer of the National Association of Nigerian Students (NANS). He was a pioneer member of Ijaw Youth Council (IYC), an ethnic rights group and was the second spokesman of the Council. He was signatory to the Kaiama Declaration. Kingsley has been known to demonstrate unusual capacity to cope and surmount many challenges while working on several peace efforts in the oil-rich Niger Delta region of Nigeria. After his active involvement in IYC, he contested and was elected as a Member of the Ondo State House of Assembly and became Chairman of the House Committee on Information for 4 years. He was at various times Special Assistant and Head of Conflict Management Unit, at the Niger Delta Development Commission (NDDC); a Member of the Presidential Committee on Amnesty; and Secretary of the Presidential Committee on Peace and Conflict Resolution in the Niger Delta. In January 2011, he was appointed Special Adviser to the President of Nigeria on the Niger Delta and Chairman Niger Delta Presidential Amnesty Programme. 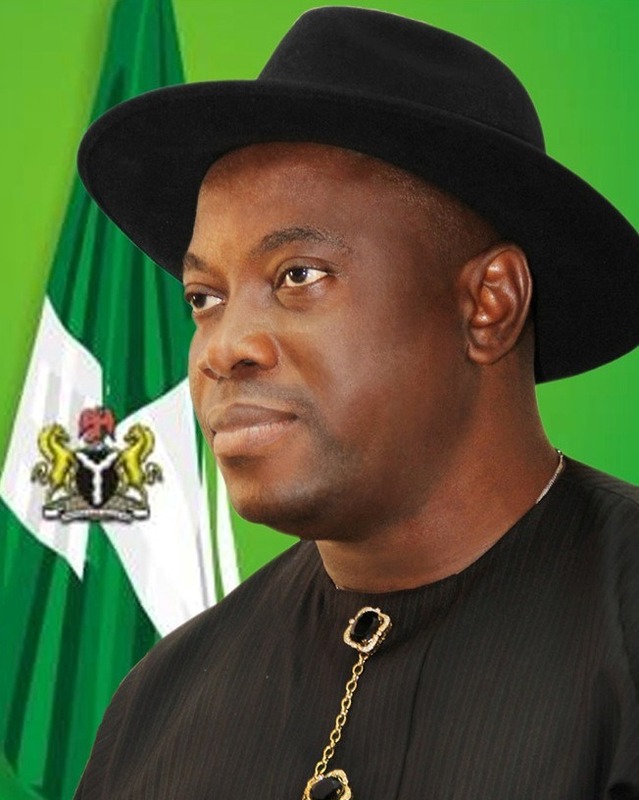 President Goodluck Jonathan reappointed him into the same position in July 2011 after the general elections in 2011. Hon. Kuku also holds a Certificate in Conflict Resolution from the University of Cambridge. He is a Member of the International Dispute Resolution Institute; Member Chartered Management Institute; Member British Institute of International and Comparative Law; Chartered Institute of Arbitration; Member Royal African Society; and Member Chatham House, UK. As the Chairman of the Presidential Amnesty Programme for former agitators in the restive oil-bearing communities in the Niger Delta, Hon. Kuku oversaw the disarmament and demobilization of over 20,000 ex-agitators and he is currently superintending the skilling and reintegration of these youths into civil society. He is described by many as one of the new progressive minds needed to move the Niger Delta region forward and to transform Nigeria. Kuku is married with children. His hobbies are writing and swimming.